Connor Ensign is a young man who is passionate about art- all kinds of art! He loves music, theatre, animation, architecture, and of course his favorite, the visual arts! 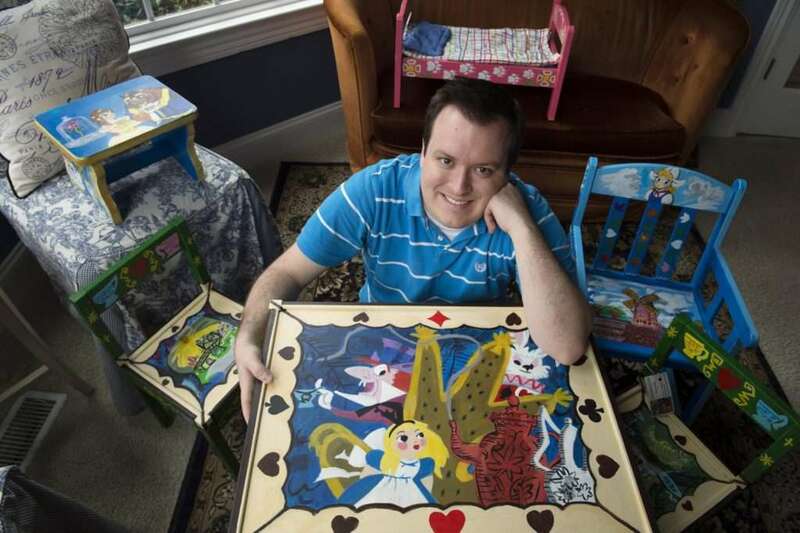 Art has always been his best way to communicate what he feels.When he was only six years old, his artwork was selected to represent the North Georgia Chapter of the Autism Society of America for their cards that year. Thus began many art recognitions and opportunities to display his artwork with school and in the community. In high school he was inducted into the National Art Honor Society and as a senior was awarded top honor in visual arts as well as the top honor for vocational tech’s interior design. .” He is currently enrolled in an advanced portraiture class at Kennesaw State Continuing Education. Apart from this, Connor works part time as a mail services specialist, sending books and pamphlets all over the world through the University of Kentucky’s Human Potential Institute.